(Newser) – This isn't quite a Madea Christmas, but it just may be better. 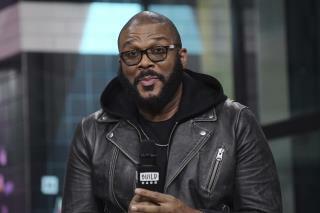 "I was trying to do this anonymously, but … y'all know how nothing stays secret these days," Tyler Perry, the star of the Madea franchise, confessed in a short video on Twitter Thursday, letting people know that he had a holiday surprise for anyone with items on layaway at two Walmarts in the Atlanta area. The big reveal: He'd completely paid those layaway bills off, meaning customers who'd had stuff waiting to be picked up there as of 9:30am Thursday can now get their goods without having to pay a penny. Now, that's the Christmas spirit! Good going, Tyler! If he'd wanted to keep it secret, he could have. Very nice move on his part.